Hippies from Hell (most active between 1989-1993) was a group of hackers, techies, artists, writers and puzzlers. Several notable hackers are associated with the group. In the 1980s they published the notorious hacker magazine Hack-Tic, which was also the original name of the group and the their network operations. In 1993 they started the first Dutch Internet service provider (ISP), XS4ALL, thus opening the Internet for the general public. Apart from this they threw wild parties and organized open-air hacker festivals, using the Internet as their social platform. On their mailing lists they discussed almost every aspect of the technology and society link. 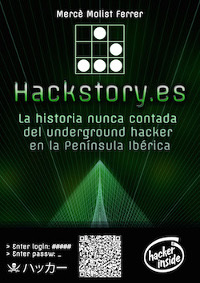 They had a significant role in the emergence of an international hacker movement. At the moment the group is less active but still maintains electronic communication platforms of its own and organises social events sporadically. This page was last modified on 10 December 2013, at 15:16.